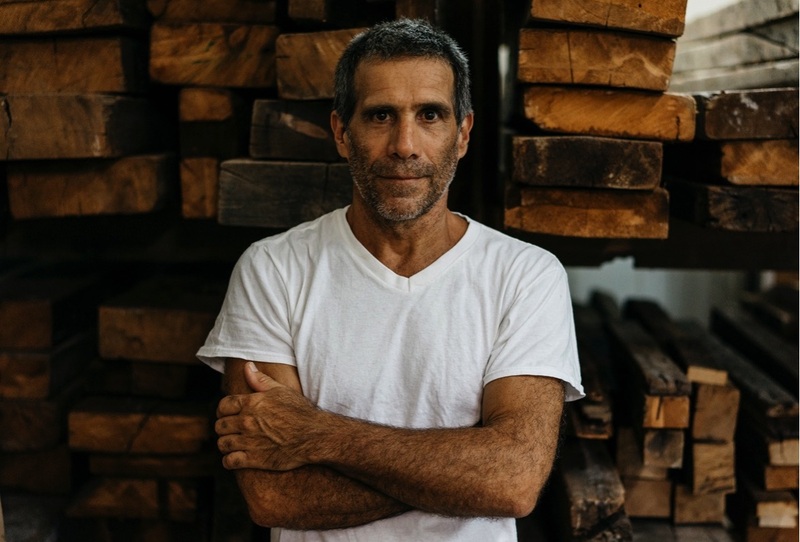 Rafael Calvo is a local Miami furniture designer and artist who specializes in unique, artistic wood design. His pieces are meticulously designed and handcrafted locally using reclaimed materials, mostly woods, in order to promote sustainability. Rafael designs the pieces to be the centerpiece of any space, by combining skilled craftsmanship and wood with different elements such as acrylic, gold, and silver leaf he creates truly one-of-a-kind pieces of art. Throughout his 30-year career Rafael has had the opportunity to work with distinguished architects, designers and do custom pieces for private clients throughout New York, Miami and Buenos Aires. Now he dedicates his time to his designs and sharing these with the world.